Pineapple mini pies: easy to make, tasty and fun! 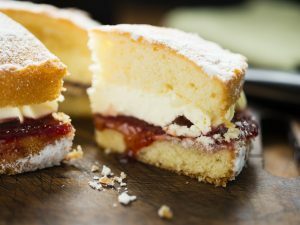 A simple tip to make an unique and good dessert. 1) Slice the puff pastry into strips, then roll them around the slice of pineapple. 2) Place each slice on a circle of puff pastry and brush the top in egg wash.
3) Dust with some brown sugar and top with a candied cherry. 4) Bake at 190°C for 20 minutes. When you haven't got much time to prepare a dessert, this it the right recipe for you. 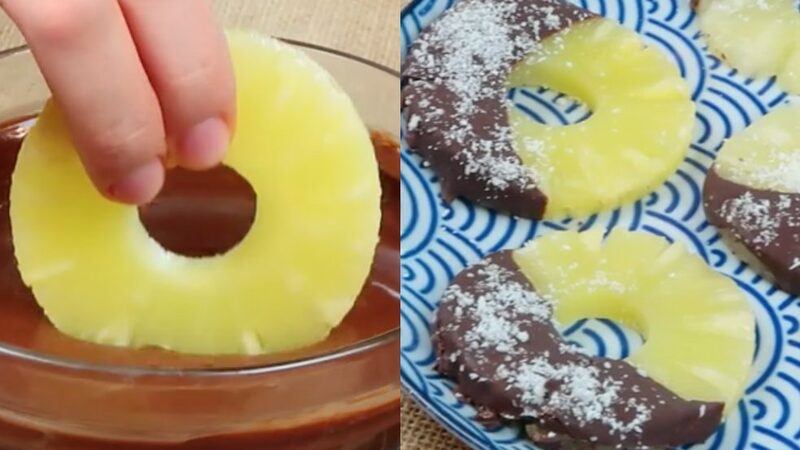 But there's another one easy and quick: Pineapple donuts with chocolate and coconut. 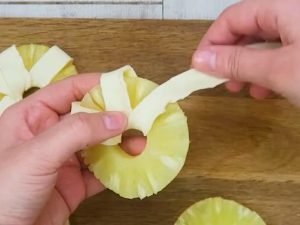 1) Peel and cut a pineapple, put all the slices in a plate. 2) Melt the chocolate, dark or milk is the same. 3) In another plate sprinkle the shredded coconut. 4) Dip each slices into the chocolate (until the middle) and then add coconut. 6) Let them cool and serve.